Bee Energetic is a caffeine-free supplement that helps strengthen the immune system and support the adrenal glands, while providing lasting, natural energy. American Ginseng: This strand of ginseng confuses many because it can be found in America and China, despite the name. Nutritionists believe it can boost energy while also sharpening cognitive function due to the chemical compound, ginsenoside. We have worked with the same Wisconsin-based farm growing ginseng for almost twenty years. Bee Pollen: Bee pollen’s nutrition impressed the German Federal Board of Health, enough for the entity to recognize it as a medicine. The pollen’s nutrients can help act as an antioxidant and encourage adrenal support. Some research suggests the pollen might also help boost the immune system and energy. The pollen is carefully and safely collected through placing a “pollen trap” in a hive. The trap is a mesh screen that bees can freely crawl through. Bees are not harmed as small granules fall from their legs upon entry and into a collection tray. Collecting bee pollen from the hive can be beneficial as bees oftentimes over-collect. Spirulina: Spirulina is a cyanobacterium, also known as blue-green algae. This protein-packed marine green is known for being nutrient rich, boasting antioxidant and oxidative properties. Spirulina studies have been tied to supporting endurance, muscle strength and immune function. Cordyceps: Traditional Chinese medicine has used cordyceps to help treat fatigue and boost endurance. The mushrooms help provide energy, increase oxygen uptake and enhance cellular energy production. Cordy-Gen®* is the harvested mushroom’s mycelium, which is cultivated safely in California under strict protocol. The mycelium promotes the mushroom’s vitality through beneficial compounds and metabolites. Take three capsules per day. Bee Energetic may be taken prior to exercise. Both adrenal stress and lack of energy plague Americans daily. Maybe it’s an inability to complete tasks towards the end of the day due to lack of mental clarity and lower energy. Maybe’s it’s a feeling of sluggishness that keeps you from certain activities. No matter the symptom, many turn to caffeine or ephedrine-filled energy supplements as a solution, which can be harmful. 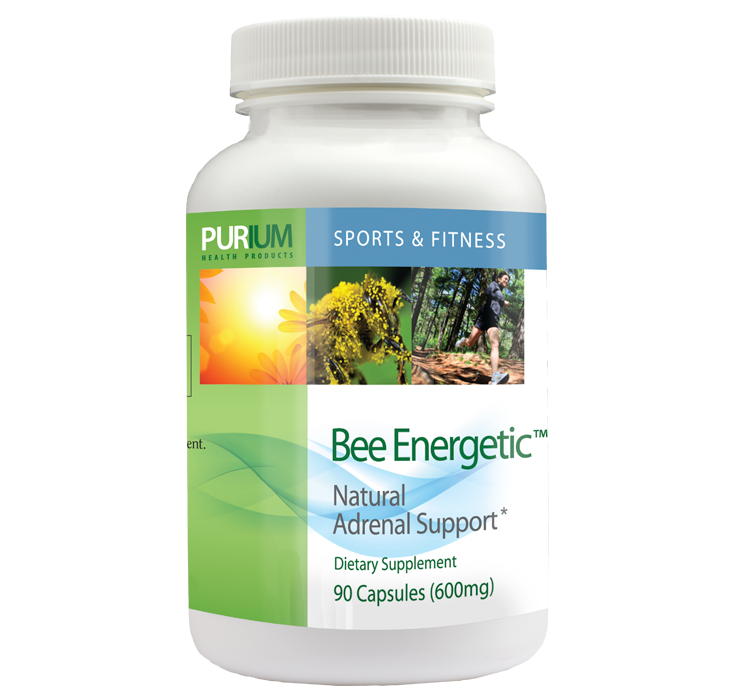 Bee Energetic offers a natural source of energy without ephedrine or caffeine. Instead, it relies on the nutrients of American Ginseng, bee pollen, spirulina and cordyceps. The powerful, synergistic blend helps support the immune and adrenal systems, providing sustained energy and improved circulation and mental clarity. This product is gluten-free. This product contains bee pollen and cordyceps mushrooms in cellulose, gelatin capsules. If you have a medical condition, are pregnant, lactating or taking medication, consult a medical practitioner before consuming any dietary supplements. To purchase Bee Energetic, click here.